To develop a seasonal resort on a 300 acre parcel of land on US Route 1, with 259 seasonal cottage units within conserved natural settings. BCE prepared final site design and is providing construction administration for erosion and stormwater control, wetlands, and ensuring the site is constructed in accordance with the engineered documents. Previously, this parcel was a nursery and was being considered for use as a motocross track. The new owner recognized the site�s natural beauty including trees, ledge, walking trails, and knew they could use its beauty to enhance the new community. 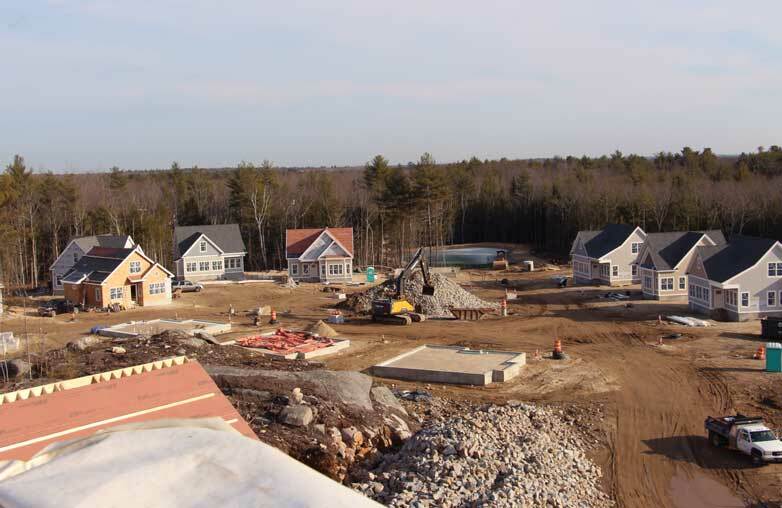 The site�s location to nearby restaurants, shopping centers, Portsmouth, and Portland, made it all the more attractive. The natural environment includes architectural walls made from rock already on site, vernal pools, and wetlands.